If you’re a runner, walker or cyclist, you can be out the door in a flash wearing only shorts, T-shirt and a cap to protect your head from the sun. Some runners, walkers and cyclists won't give up when the temperatures soar to 90 degrees and above. But they may have to change their workout schedules to early mornings or evenings, when the heat has moderated a bit. Choose lightweight, breathable fabrics that wick moisture away from your skin; they will make you feel cooler. Protect your skin with sun screen and wear a lightweight cap that will protect both your head and your eyes. The first workout on a hot day is always a bit difficult; you simply can’t go as fast or as far with the same amount of effort. It’s important to take it easy until you acclimate yourself to the higher temperatures. And always make sure you drink plenty of water before, during and after exercise. Swimming, whether at a lake or pool, is an obvious choice to cool off on a hot day while challenging the cardiovascular system. If you can’t swim for distance, treading water will give you cardiovascular endurance. Tread just with the arms, just with the legs and then with both the arms and legs. Get a floatie, hold it under your arms and do flutter kicks while staying afloat. You’ll be developing quad and hamstring muscles. Going on vacation to the beach? Running in soft sand forces you to work harder, promoting good knee lift and building strong hip flexors, quads, calves and ankles. In fact, all leg, arm and core muscles benefit from the effort, and it uses at least 1.5 times more calories. Low tide leaves a firmer, but still relatively low-impact surface that runners and walkers welcome. To compensate for a slanted surface, make sure each workout includes equal distance in each direction. Running on a slant puts extra pressure on knees and hips. Play around with different workouts: run out into the water for 50 yards or so and then back. Or try the zig zag: jog and run on firm sand for 10 minutes, then run into the soft sand and run hard for a minute before heading back to the firm surface for a slow recovery. Repeat 5 to 10 times. Complete the circuit, rest for a minute and then repeat as often as you wish (and are able). Or try jumps and drops. Run 30 yards or so through soft sand and do a long jump, starting and landing on both feet. Drop all the way down and then push back off the sand and jump to your feet. Canoeing and kayaking are great options for those of us in the Pacific Northwest. Paddling builds muscle strength in the back, arms, shoulders and chest. But the canoe or kayak is powered through the water mainly through rotating your torso and applying pressure with your legs. All of this is low impact, however, with minimal wear and tear on your joints. And, depending on your goals, you can also get a peaceful, meditative experience and appreciation of the natural environment. Whatever workouts you choose, of course, you must be careful to protect yourself with proper clothing, sunscreen and plenty of water to keep you hydrated. When either the temperature or humidity approaches 100, a red flag is raised. Respect the weather and accept your own limitations. At Providence Medical Group you and your family will receive the best, most coordinated care possible. Our doctors and providers take the time to get to know you, your hopes and your concerns. They focus not only on treating you when you’re sick, but on prevention, health education and your overall well-being. 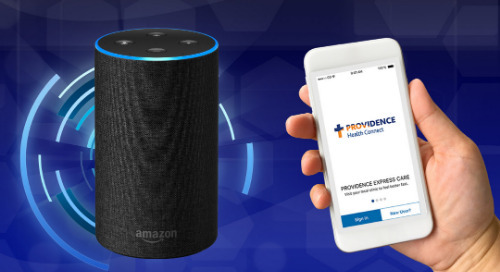 Through every stage of life, Providence Medical Group delivers comprehensive, proactive care to keep you engaged and involved in your own health. Find a doctor near you. I Survived. And So Will She.